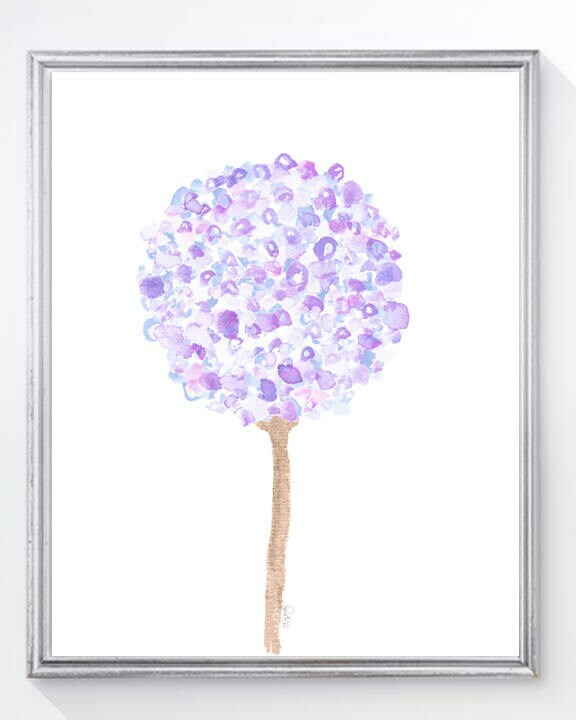 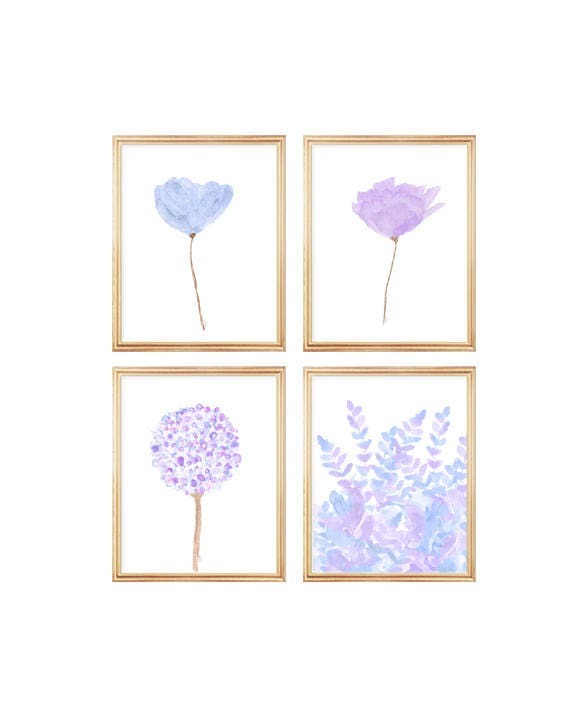 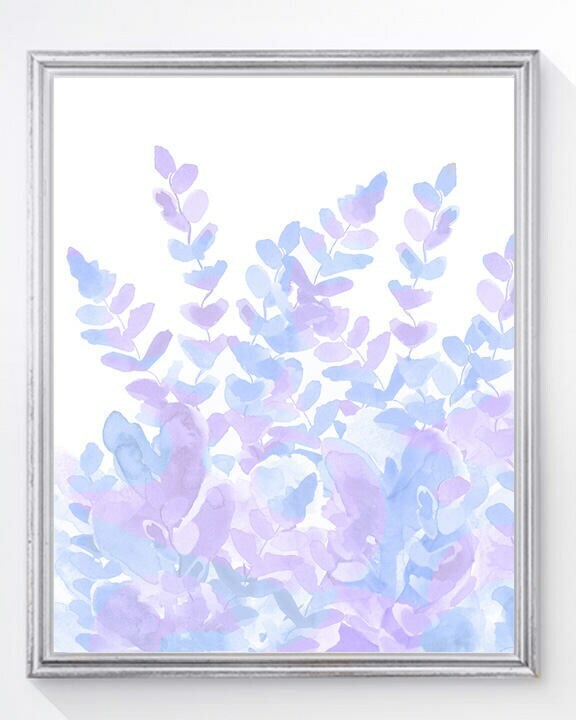 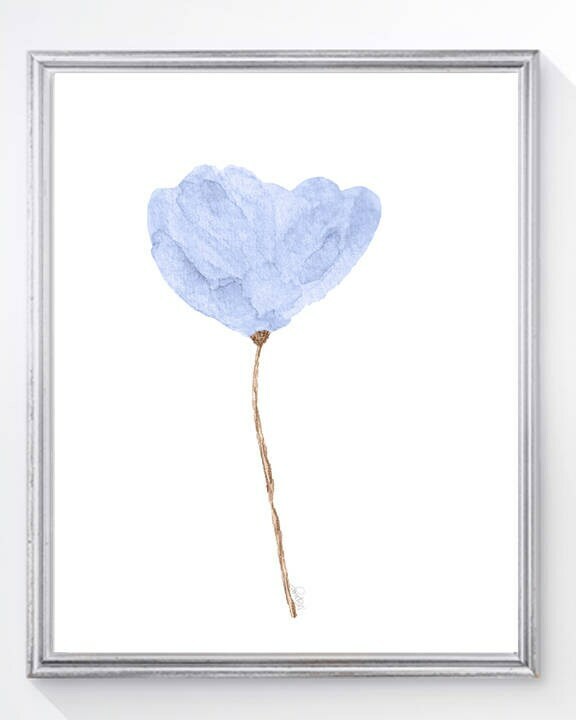 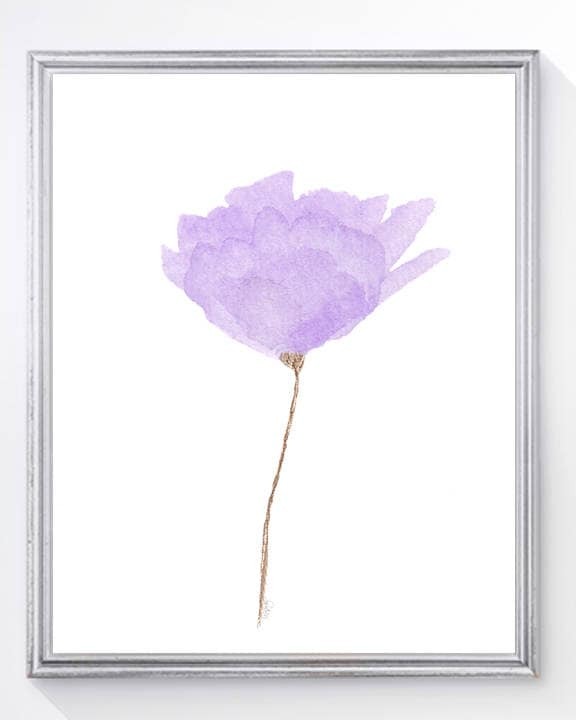 A set of 4 pretty lavender and pale blue flower watercolor prints coordinate to hang together. 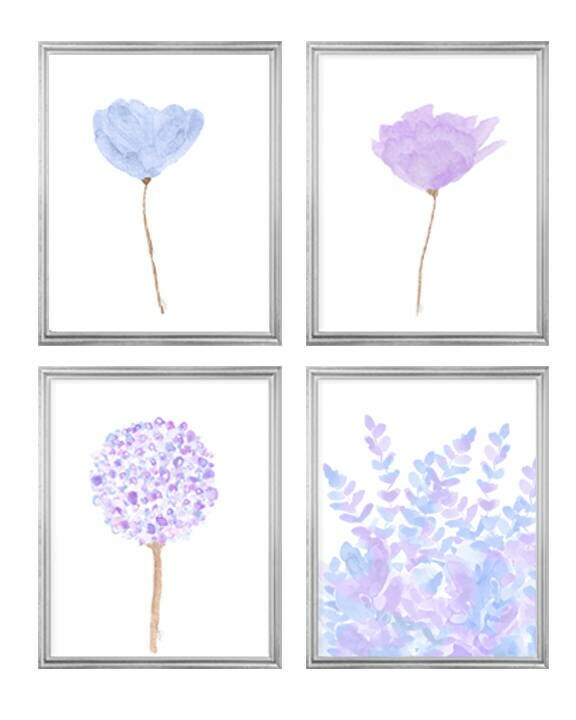 Each is recreated from my original watercolor paintings. 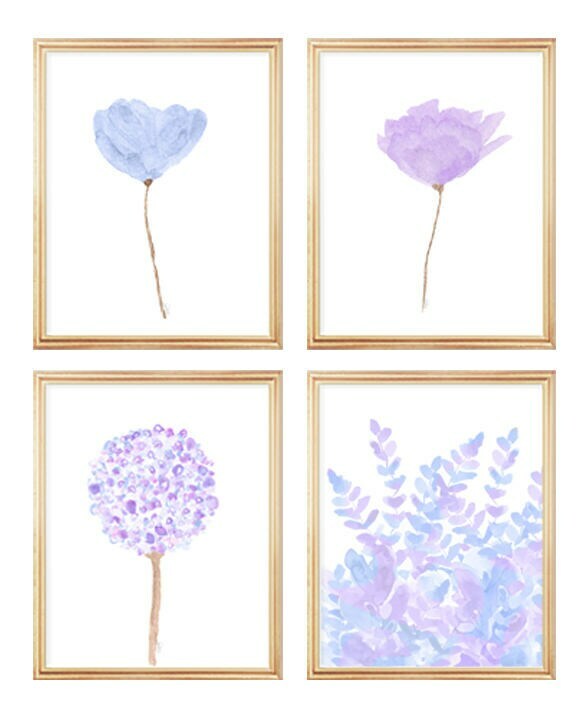 Purchase individually or as the set.